Buy a shirt today to raise money for families impacted by the Thomas Fire! All funds raised will be paid directly to Rotaract Club of Conejo Valley for distributing to Thomas Fire victims to rebuild their homes and lives.. 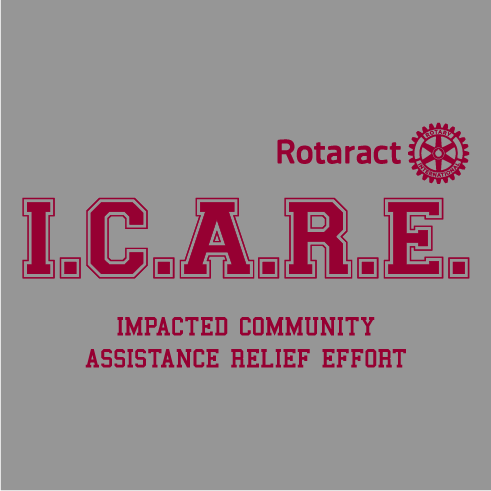 This fundraiser is hosted by Conejo Valley Rotaract and represents the launch of ICARE, a multi-club Rotaract initiative. 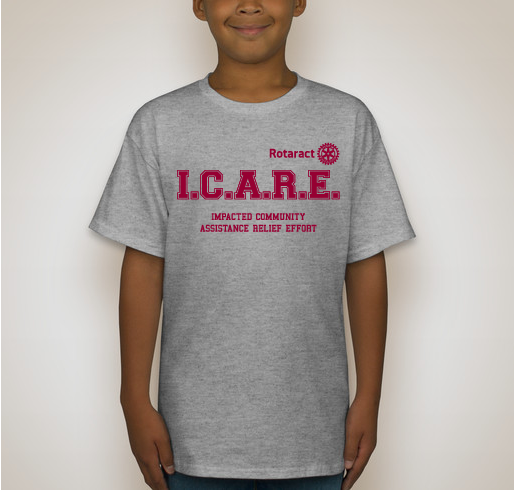 ICARE stands for Impacted Community Assistance Relief Effort. 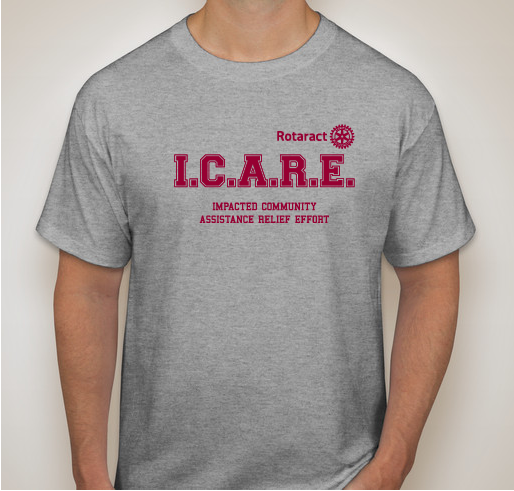 Conejo Valley Rotaract is a community service and professional development organization that is part of the larger Rotary International family. Our members are students and young professionals between the ages of 18-30, living and working in Thousand Oaks and the surrounding Conejo Valley region of Southern California. After witnessing all the disasters in 2017, including the Thomas Fire in our own backyard, we were inspired to start a year-round disaster relief project. Typically, there is a large rush of aid immediately after a disaster, sometimes to the point where organizations may need to turn down a surplus of donated items. Unfortunately, many relief efforts tend to die down soon after the news coverage ends. We want to take a more sustainable approach to disaster relief by forming a network of Rotaract clubs around the world, committed to helping each other provide long-term financial assistance whenever disaster strikes in their home region. All funds raised will be sent to the club(s) nearest to the disaster, who will serve as the feet on the ground to get the money to where it is needed most in their communities. To help others that are in need! I'm a Rotarian...it's what we do! I find helping others to be a gift for the soul. Share Why You Support "Support Communities Affected by the Thomas Fire"